Please note: student papers must be of journal article length; we cannot accept dissertations or final presentations. We invite submissions from members and non-members for the best published, produced, or publicly exhibited works that promote psychoanalysis or psychotherapy. All entries must have been produced between January 1, 2018 and April 30, 2019, and must have a psychoanalytic or mental health theme. The deadline for submissions is May 31, 2019. Art may be submitted in jpeg, pdf, or DVD format. For articles, please include a link to the relevant publication. Books may be submitted in hardcover or paperback format. For movies, etc., send a DVD, script, and/or performance date(s). Student papers should be submitted as an MS Word file. Please include an email address with each submission. 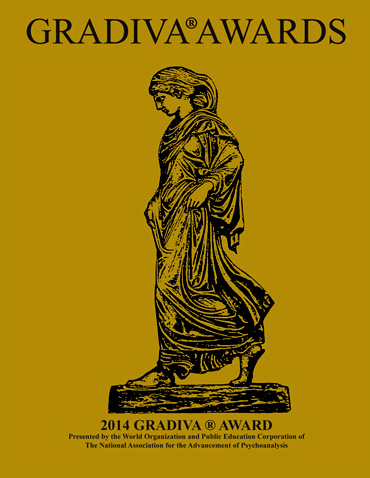 The Gradiva Award judges have been selected from the various schools of thought represented by NAAP. Nominees will be announced six weeks prior to the NAAP annual conference and Gradiva Awards ceremony, which takes place in mid-November, and the winners will be announced at the awards luncheon. The judges’ decisions are final and the committee reserves the right not to bestow an award in any given category. 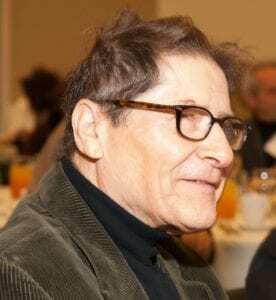 or Ronald O. Lieber, Gradiva Committee Chair at ronaldlieber@gmail.com. Please click here to download a pdf with the 2019 Gradiva information. Click here for last year’s award winners. “Delusions and Dreams” is the analysis of a class of dreams that have never been dreamt – dreams created by imaginative writers and ascribed to characters in the course of a story. Freud wrote that few people believe that dreams have a meaning and can be interpreted and that most of them smile if they are asked to interpret a dream. According to Freud, only the “common people,” who cling to superstitions, insist that dreams can be interpreted. When the laborious task of interpretation has been accomplished, the dream reveals itself as a wish of the dreamer, represented as fulfilled. And who could deny that wishes are predominantly turned toward the future? Gradiva is the story of a young archeologist visiting a Roman museum who sees the Pompeian bas-relief of a young woman walking. He names her Gradiva and subsequently becomes obsessed with her, dreaming about attempting to save her during the eruption of Mount Vesuvius. One day, he does see her, very much alive and walking among the ruins in modern Rome. Eventually, he discovers she is the daughter of another archaeologist and that she had dressed as Gradiva to capture his attention. He also finds out she is from his hometown and that he had known her previously. Therefore, his dreams were his awakening to a love for someone he had known all along. In 1994 Robert Quackenbush proposed the Gradiva Awards for the best works that advance the field of psychoanalysis. Quackenbush became the first chair of the Gradiva Committee, which is comprised of five members. Since then, various NAAP members have been honored to serve in the position, which is currently held by Ronald O. Lieber. The Gradiva image, featured on the brass plaque received by each winner, is a NAAP-registered trademark. The Vision Award was conceived as a special award to be presented to a psychoanalyst (or psychoanalysts) who has made an outstanding contribution to psychoanalysis and its impact on the life of individuals and the community. 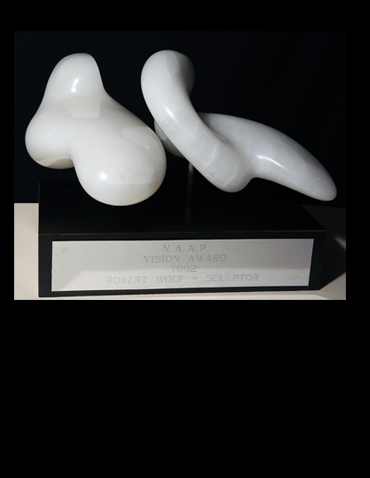 The award is based on an original piece of fine art crafted by sculptor and NAAP member Robert Wolf. Esther Menaker and Hyman Spotnitz are among the past award recipients. Most recently, Steven Reisner and Stephen Soldz received the award in 2016. The Lifetime Achievement Award is presented by NAAP for distinguished service or commitment to the community or society at large. In 2015, NAAP bestowed the award on Michael Eigen, a “psychoanalytic visionary” and a “national treasure of psychoanalysis.” A psychologist and psychoanalyst, Eigen is Associate Clinical Professor of Psychology in the Postdoctoral Program in Psychotherapy and Psychoanalysis at New York University, and a Senior Member of the National Psychological Association for Psychoanalysis. He is the author of a number of books, including Toxic Nourishment, The Psychoanalytic Mystic, Feeling Matters and Flames from the Unconscious. Previous recipients include Dr. Margaret Morgan Lawrence, who, in addition to being the country’s first African American female psychoanalyst, is the first African American female pediatrician in the U.S.